What most of these signs are hiding in the fine print, however, is that you better pay off your full purchase before then, or deferred interest will come down upon your head. Want a better interest-free alternative? Just turn to a quality credit open-loop card with an introductory 0% APR offer. Most credit card APR deals offer at least six months of 0% interest without tacking on deferred interest clauses. 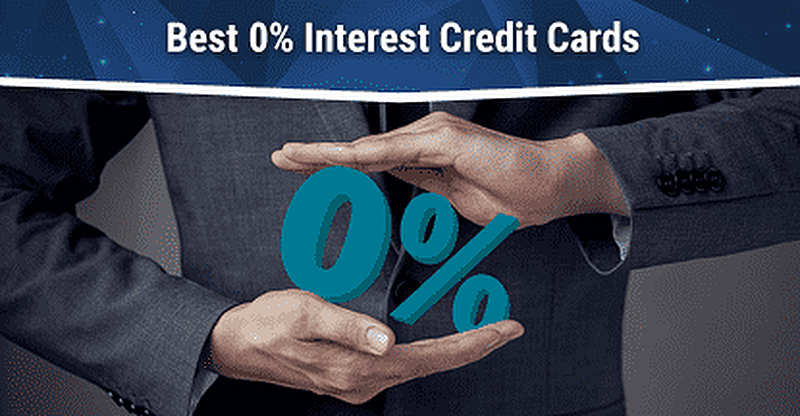 And with so many options on the market these days, there’s a 0% interest offer for nearly any type of credit card consumer. Our top picks include options offering 0% interest on both new purchases and balance transfers, with terms as long as 18 months. But prospective cardholders who want to save on interest have a significant number of additional choices. In general, there are three qualifications for a great 0% APR offer: length, flexibility, and fees. The longer the offer lasts, the more time you have to make purchases and pay off your balance. Flexibility comes in the form of an offer that can be used for both new purchases and balance transfers, so you can save on both new balance and old ones. And fees — well, most cards will come with a balance transfer fee, so look for the lowest one you can find. Our overall top pick, this card ticks most of the boxes for 0% offers, including 18 months of 0% APR on new purchases and balance transfers. Plus, balance transfers made during the 18-month promotional period are charged a reduced transfer fee. This card’s offer comes a few months short of our top pick, but the purchase rewards and signup bonus may help pay off any balance a little quicker. But while the offer applies to new purchases and balance transfers alike, you won’t get a deal on the transfer fee. While it has a shorter offer term, this card provides rewards on new purchases. It also sports several of the same features as our overall top pick, including being applicable on both new purchases and balance transfers, as well as a reduced balance transfer fee during the introductory period. 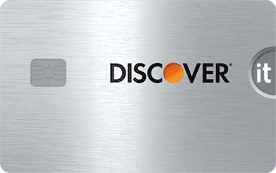 Short of the top-tier travel rewards cards, most credit cards now offer some type of 0% introductory offer. That said, the quality of those offers — particularly the length — will vary by card, with most providing only 12 months or less. Other cards will have longer promotional periods, but fewer perks. However, if you don’t need the extra time, intro-APR cards with purchase rewards can be worth the trade, since you can earn rewards on purchases during the 0% APR period. In the end, selecting the best 0% APR credit card for new purchases will depend on whether you value a longer promotional period over earning purchase rewards. While this card doesn’t come with purchase rewards, it does have one of the longer introductory periods on the market, offering a full 18 months of interest-free purchases. You’ll also receive up to $600 in cellphone protection when you pay your full cellphone bill with your card. 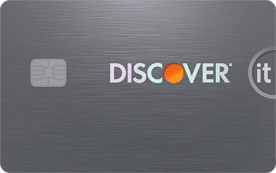 This card is a good mix of purchase rewards and intro-APR offer, providing more than a year of 0% interest on new purchases (and balance transfers), as well as unlimited 1.5% cash back rewards — all with no annual fee. You’ll even get a solid signup bonus by meeting the minimum spending requirement. This card offers both a long intro-APR period and bonus cash back on quarterly rotating categories, giving it value beyond the promotional period. And, with no annual fee, it won’t cost you anything to keep in it your wallet over the long term. As helpful as it can be to avoid interest with a 0% APR offer on new purchases, sometimes you need a way to reduce the interest you’re being charged on your existing debt. Balance transfers allow you to move debt from a high-interest credit card to one with a lower APR. Or, in the case of 0% APR balance transfer deals, zero interest. Although most balance transfers will come with a balance transfer fee (3% to 5% of the total transferred amount) reducing the balance transfer APR to 0% for up to 18 months — as you can with some of our top offers — can be worth the fee. 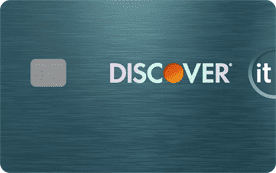 This card pairs a nice long 0% APR balance transfer offer with no annual fee, a low regular APR (based on your credit), and a host of perks and benefits from Discover. And, while you can’t earn rewards on transferred balances, this card’s cash back can come in handy after you’ve paid off your balance. The introductory period on this card is the same 18 months for both balance transfers and new purchases, making it handy for debt both new and old. 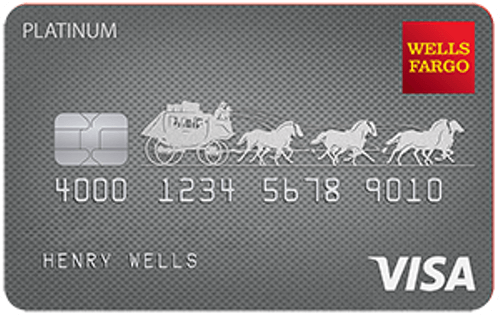 The card has no annual fee, offers cellphone protection (must pay your bill with the card), and a number of other Wells Fargo and Visa benefits. One of the few balance transfer cards with both an introductory 0% APR offer and no balance transfer fee, this card is ideal for no-frills savings while also offering no annual fee and Visa benefits. Note that you’ll need to transfer your balance within the first 60 days for it to qualify for the reduced rate and fee offer. Not only does building a business typically require significant capital, but the amount of capital required is often far more than was in the plan. A good business credit card with a 0% APR offer can help you make important purchases without worrying about interest fees right away. Of course, just because you want to save on interest doesn’t mean you should sacrifice rewards. The best business cards will pair solid purchase rewards with a 0% APR offer, and wrap it all in a neat little no-annual-fee bow. Just remember you’ll still need to make at least your minimum payment each month, interest fees or no. This card is a popular pick for many business owners thanks to its extensive cash back bonus categories, which include everything from office supplies and communication services to gas station and restaurant purchases. But it also comes with a solid intro-APR offer that’s good for 0% interest on new purchases. Like its bonus-category sibling, this card has a good introductory APR offer for new purchases, plus no annual fee. However, instead of categories to track, this card offers unlimited 1.5% cash back on every new purchase, giving you the same rewards no matter where you shop. The introductory 0% APR that comes with this card only applies to new purchases, not balance transfers, and extends less than a year. At the same time, you’ll earn unlimited 1.5% cash back on your purchases, as well as the ability to score a signup bonus for hitting the minimum spend. Budgeting as a student can be tough, and not just because you likely don’t have many funds with which to budget. You may also have an inconsistent income, with some income sources, like grants and scholarships, paying out only once or twice a year, which can make a 0% APR offer priceless for avoiding fees in between payouts. At the same time, students aren’t usually known for their robust credit histories, making it harder to qualify for the best intro-APR cards. Luckily, a number of credit cards are designed specifically for students, some of which even offer low or 0% introductory interest rate offers. You’ll even earn rewards while you save on interest. This card offers the same rewards as the non-student version, complete with matching the cash back you earn in your first year on your anniversary. It also has a 0% APR introductory offer good on new purchases and a reduced-rate introductory offer for balance transfers. As with its sibling, this card offers the same cash back rewards as its non-student version, plus an extra perk just for students: Good Grade Rewards. You’ll also get a 0% intro-APR offer on new purchases, and a reduced-rate offer for balance transfers. And it’s all with no annual fee. The Bank of America® Travel Rewards for Students gives users unlimited 1.5X points per dollar on every purchase, plus a generous 12-month 0% intro-APR offer on new purchases (but no deal for balance transfers). In addition to purchase rewards, new cardholders can enjoy a solid signup bonus by meeting the minimum spending requirement. Plus, you can earn a 10% points bonus by redeeming your points into an active Bank of America checking or savings account. Although each credit scoring model has its own scale, if your credit score is in the 600 to 700 range, you’ll typically be considered to have fair credit. While fair credit is definitely better than bad credit, a fair credit score will limit your options for finding 0% or reduced-rate interest deals. 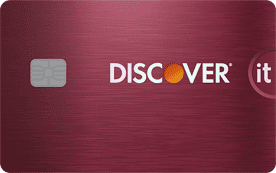 For the most part, major issuers reserve 0% APR offers for cards aimed at consumers with at least good credit. In general, only secured cards or unsecured options from smaller banks and credit unions will offer reduced-rate APR deals for applicants with fair credit. 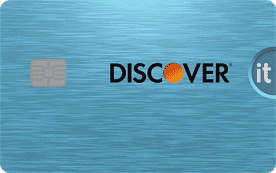 This card has no introductory deal on new purchases, but it does offer a reduced rate on balance transfers for the first six months (balance transfer fee applies). You’ll need to make at least a $200 deposit to open this card, though larger deposits can be made to increase the available credit line. The Aspire Platinum has a low regular APR range of 10.15% to 18%, depending on your credit, and a generous six-month 0% APR introductory offer. The Alliant Visa® Platinum Card doesn’t have a lot of frills, like purchase rewards, but it does offer qualified cardholders an intro rate as low as 0% for up to 12 months on new purchases and balance transfers. Once approved, you can become eligible to be a member if you work for a Qualifying Company, live or work in a Qualifying Chicagoland Community, are a member of a Qualifying Organization, or donate to become a member of Foster Care to Success. To paraphrase the old adage, if the zero-interest deal sounds too good to be true, it probably is — so read the fine print. In many cases, you may be getting more interest than you bargain for, especially when it comes to store cards and offers. If you’re looking for a store credit card in hopes of an interest-free financing deal, make sure it won’t bite you in the you-know-what later with deferred interest charges. Or just avoid the hassle altogether by using a good open-loop credit card with a real 0% APR offer. You could get more than a year to pay off your balance, and you may even earn rewards on those purchases with the right card. Of course, no matter how great the interest rate offer seems, never make purchases without a solid plan on how you’re going to pay them off. Simply making the minimum required payment will be unlikely to see your full balance repaid before your promotional period expires, so do the math before you start making purchases.